Our company will attend the 8th China International Occupational Safety & Health Exhibition from 27th to 29th Sept.2016 in China National Convention Centre ,Beijing,China. Welcome to our booth C319 and develop business with us. Our company will attend the analytica China 2016 from 10 th to 12nd Sept.2016 in Shanghai New International Expo Centre . Welcome to our booth N3.3528 and develop business with us. 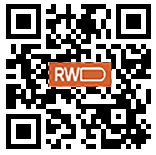 [Company Exhibition] RWD will attend the Thailand Lab . RWD will attend Thailand Lab on 21st to 13rd,Sept.2016. Welcome to our booth No.M6 and develop business with us!